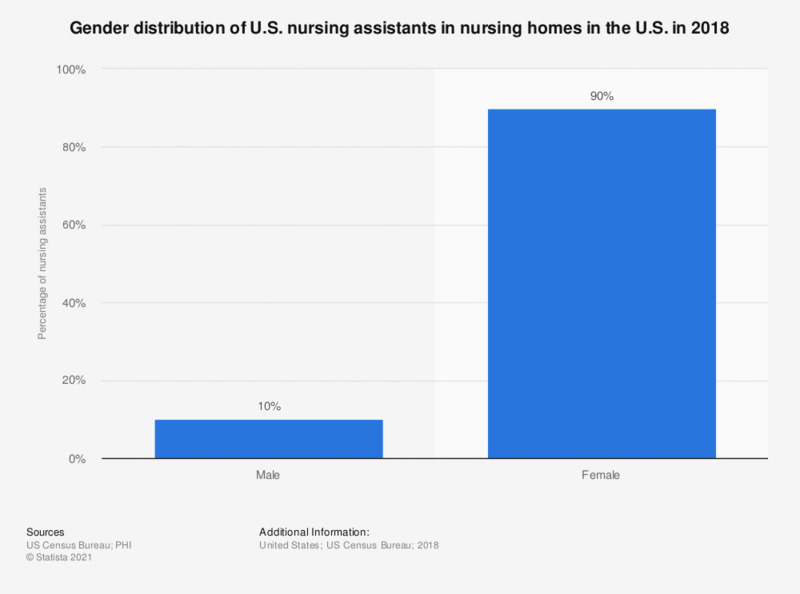 This statistic shows the distribution of nursing assistants in nursing homes by gender as of 2015. According to the data, just 9 percent of nursing assistants in nursing homes are male. Everything On "Nursing homes in the U.S." in One Document: Edited and Divided into Handy Chapters. Including Detailed References. Statistics on "Nursing homes in the U.S."
Do you think that your writing work would be facilitated or complicated if you had a robot assistant for writing press releases etc. ?